Want to improve your communication skills? By understanding your personality type, you’re off to a great start. This essential guide to better communication for men and women teams up experienced communicators and trainers Florence and Marita Littauer. 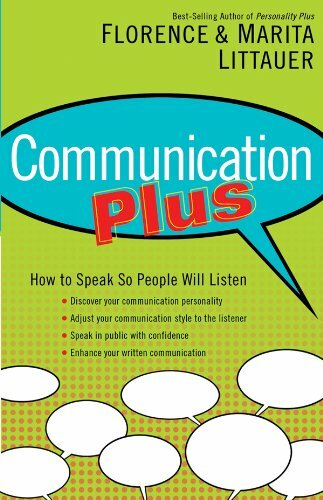 Communication Plus explores and outlines each of the four personality types with their differing personality approaches to conversation, compliments and criticism. And it helps readers practically put into play what they’ve learned about their own and others’ personalities via written communication and the ABCs of public speaking, including developing, researching and organizing a topic and putting power into the presentation. Professionals who are on the lookout for keys to success in business and in life will learn not only how to communicate, but to communicate with confidence.